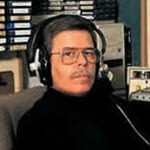 Art Bell:Somewhere in Time returned to 7/21/1997 when remarkable heart and lung transplant recipient, Claire Sylvia, told of having the food cravings of a young man after she received the new organs. She also felt as if she was in communication with the donor’s soul. Art Bell: Somewhere in Time returned to August 25, 1999 when private investigator Edmund Pankau revealed how you can hide your assets and disappear.